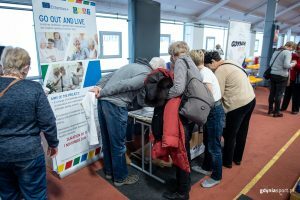 Yesterday 21st January 2019, seniors from Gdynia celebrated their special day – Grandma and Grandpa Day – in a very active way! 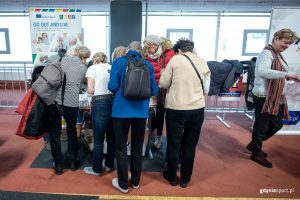 Several hundred enthusiasts of a healthy lifestyle took part in fifth edition of the Active Senior Day organised by Gdynia Sports Centre. Seniors showed their great physical condition through their participation in fitness and dance classes run by professional trainers. Not only sports activities were prepared for seniors, but also workshop called Psychology of color, which will explain how the choice of colors affects our emotionality and what colors speak about ourselves. 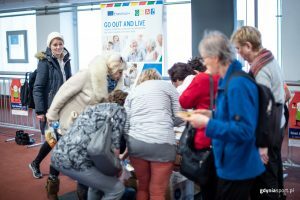 – We know how important physical condition for seniors is. 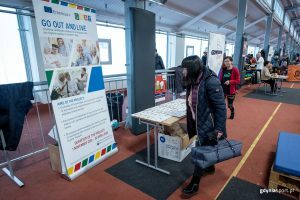 Therefore, this year, just like in the previous years, we prepared not only sports activities, but also meetings with health professionals and exercises of the body and mind – says Rafał Klajnert, director of Gdynia Sports Center. – We have invited to cooperation institutions such as: Experyment Science Center, SWPS University, U7 Center and Ciapkowo – he adds. 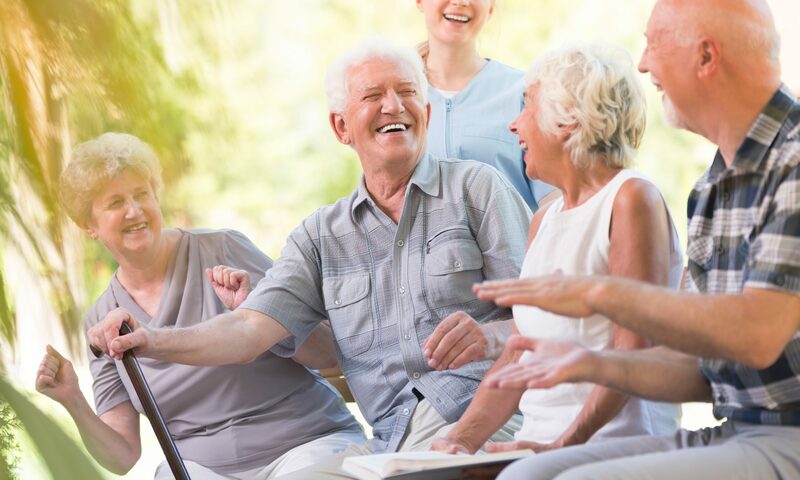 Seniors could get to know how they should take care of their physical condition, listen about positive aspects about walking with dogs, play bowling and strain mind during art classes. Project GOAL has its own area during the event. 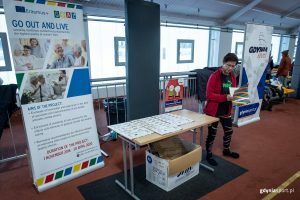 Participants could get to know its main objectives, activities but also take a Physical Activity Diary that (we hope) will motivate them to be more active! Thank you for your great attention and see you next year! Previous PostPrevious Meet the MEMTRAIN project! The project is co-funded by the Erasmus+ Programme of the European Union under the Grant Agreement No. 2018-1-PL01-KA204-050650.